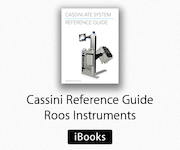 Join the Roos Instruments' family and our quest to develop the fastest, most accurate ATE for the worlds most advanced technology. We are looking for the brightest and best minds, looking for a challenging carreer at the cutting edge of measurement technology. Roos Instruments unique work environment includes competitive benifits and a family friendly atmosphere.